Includes exclusive vinyl-only mix not available elsewhere. ℗ 2017 Temporary Residence LTD. Under Exclusive Worldwide License. Is the download card for the vinyl-only mix or same as CD version tracks? 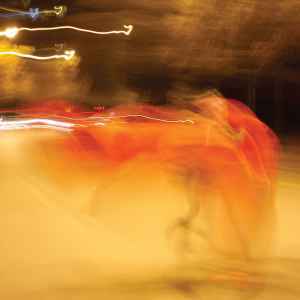 Wonderful sounding vinyl pressing of William Basinski's latest LP, which includes a beautiful tribute to David Bowie as the b-side. I've been listening to it non-stop, but that's nothing surprising as I could listen to a lot of his music on an infinite loop until I died. Highly recommend the vinyl pressing. It's very quiet, has a great sound stage (the bass tone gradually gets louder towards the end of For David Robert Jones which rattles my windows) and also has a lined inner sleeve/a dl card, a neat 20th anniversary TRL sticker and thank you card. Really awesome! I was worried about the QC on this one since I was so disappointed in the pressing of last year's Explosions in the Sky's The Wilderness, also on TRL. Happily, the pressing plays quiet and is centered correctly. The record comes in a poly inner sleeve which is also a nice bonus. Speaking of bonus, it comes with a download code. Recommended.